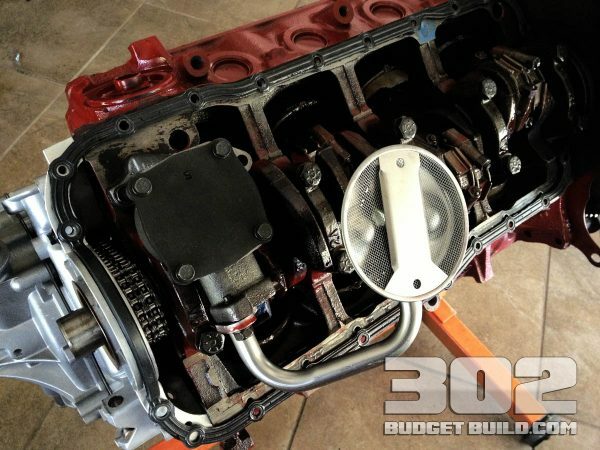 In these steps, we will set the timing cover and water pump into place. 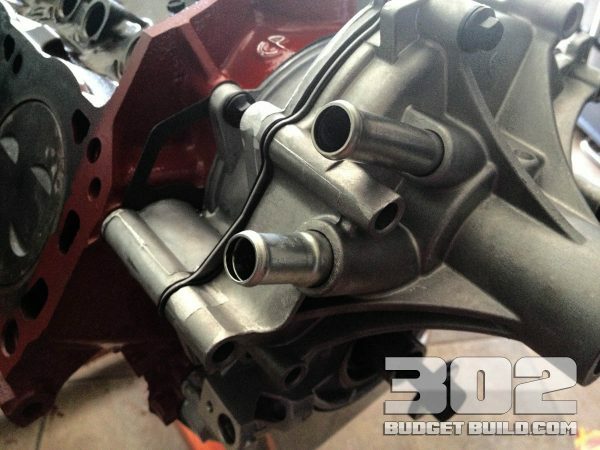 Keep in mind that this is not a final installation because a lot of the bolts used in this process will be determined by the accessory bracketry used later on in the build. 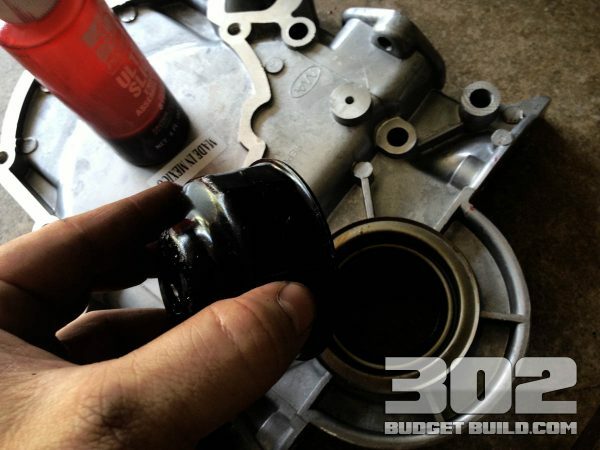 Primarily, you want to install these components to set the oil pan and gasket for final installation. 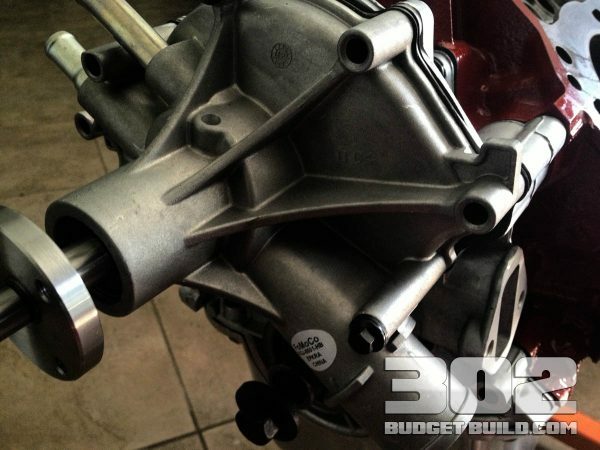 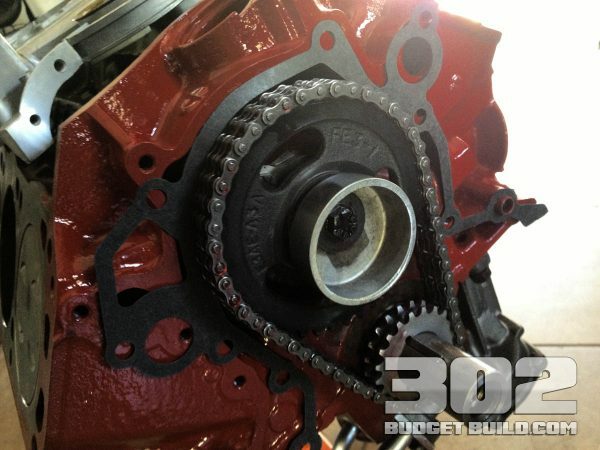 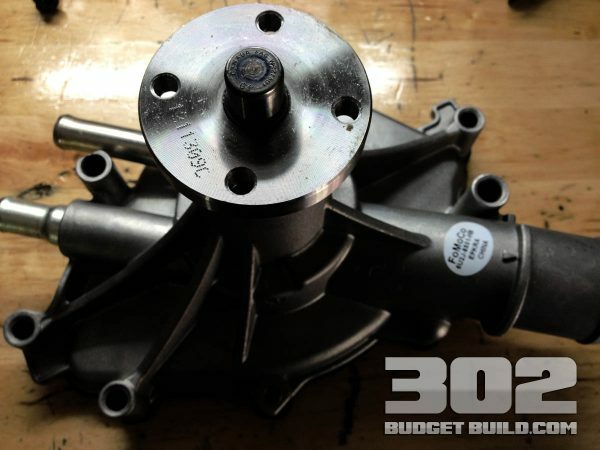 For this build, I used a Dorman aluminum timing cover and Ford Racing water pump. 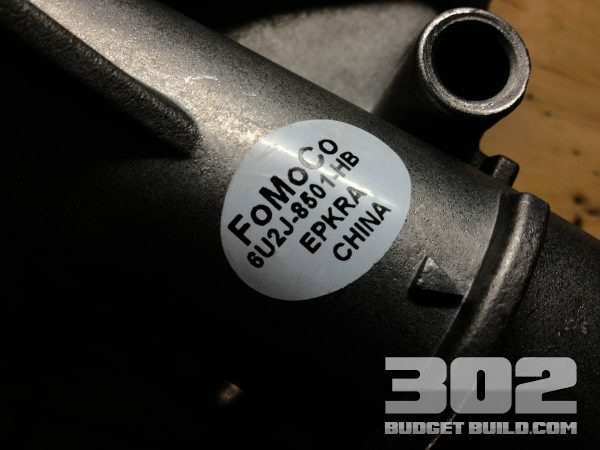 I was a little disappointed to find that the water pump is made in China. 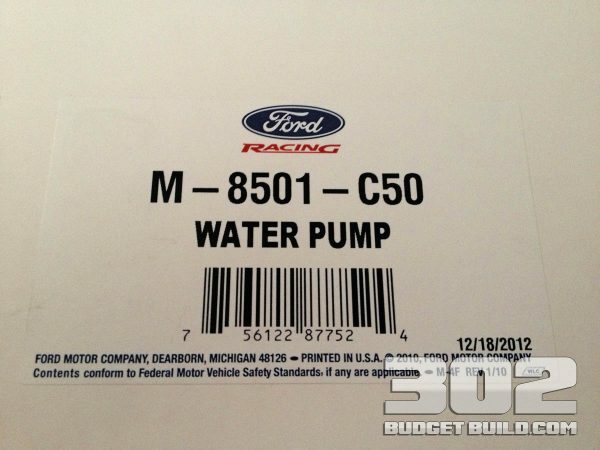 I will trust that Ford Racing built a quality product. 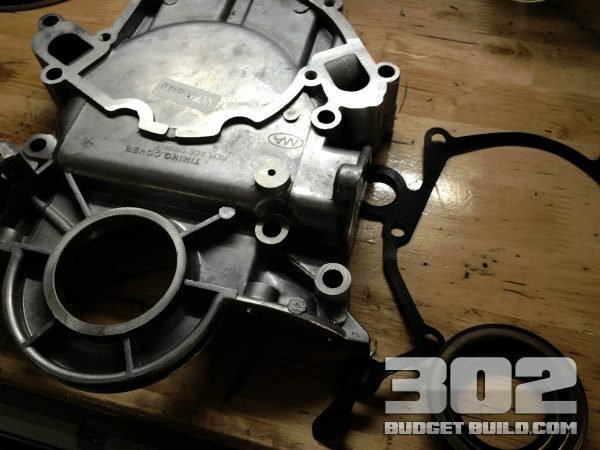 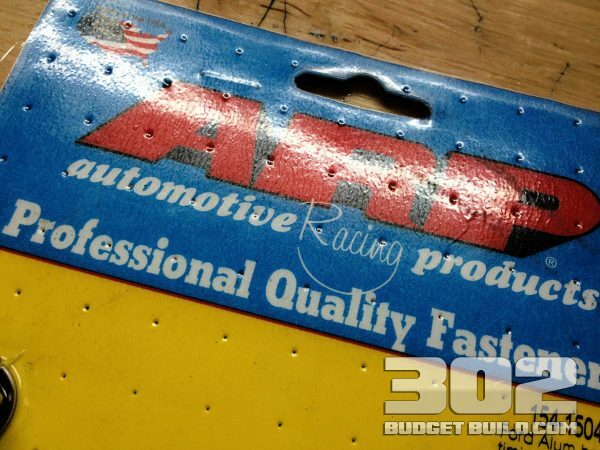 The timing cover comes with the gasket and the front seal (everything you need). 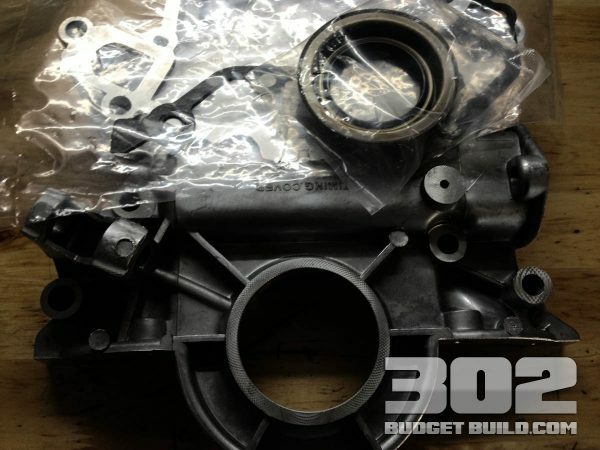 The water pump also comes with the gasket. 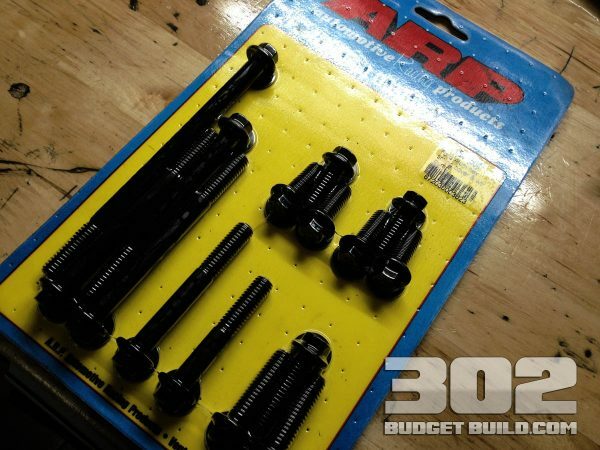 You will need a set of ARP bolts to complete this stage of the installation. 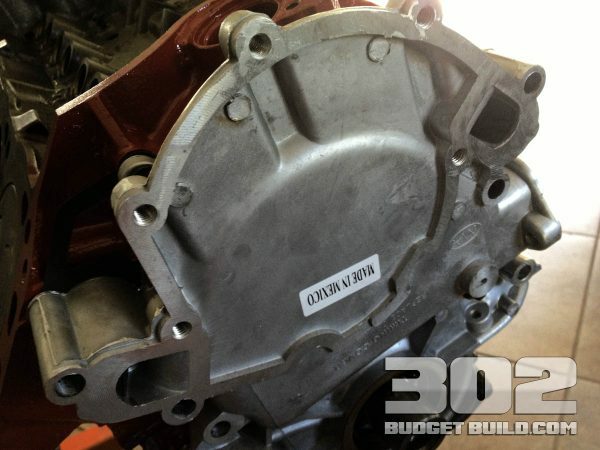 Timing cover front seal shown. 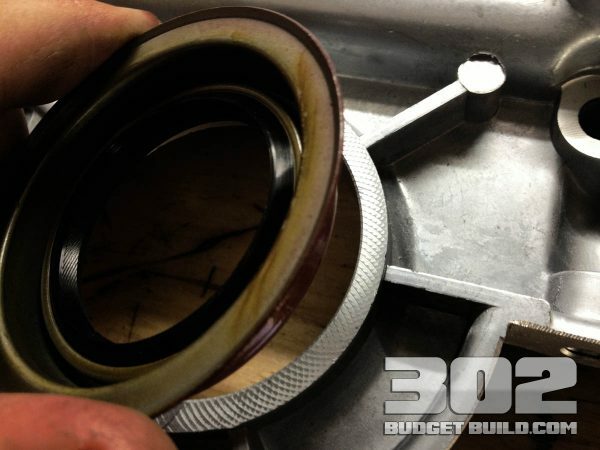 Use an oil filter wrench to evenly distribute pressure while setting the seal. 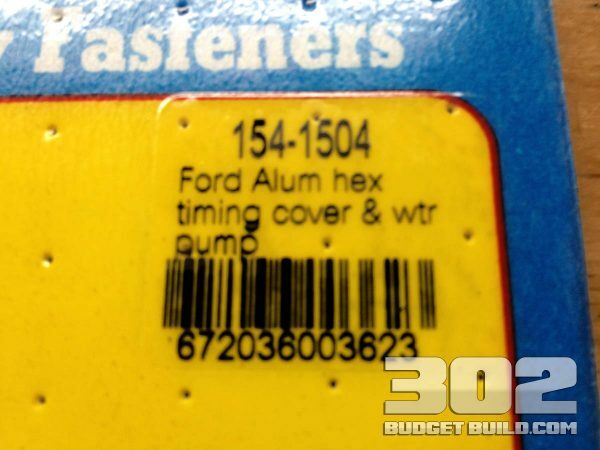 Timing cover front seal shown. 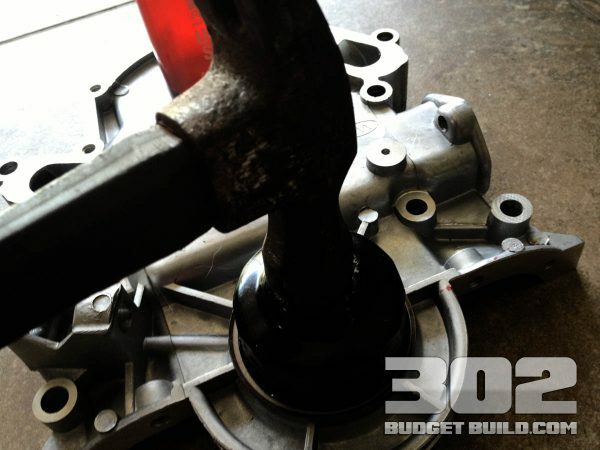 Hammer into place evenly. 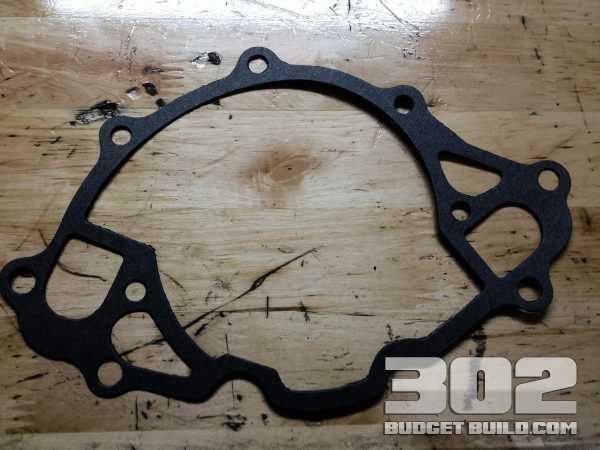 Gasket for timing cover mocked up into place on dowel. 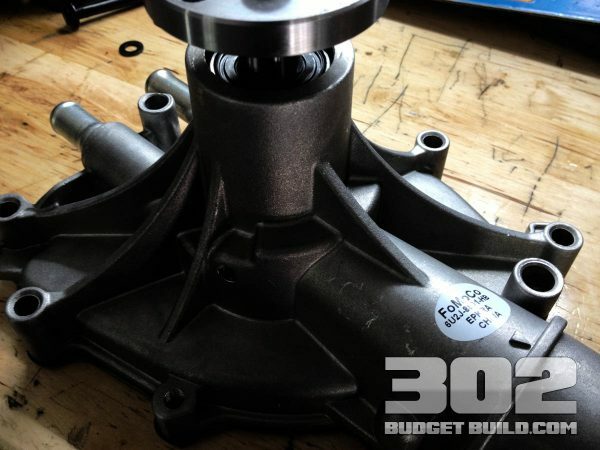 Water pump mounted to timing cover with ARP bolts. 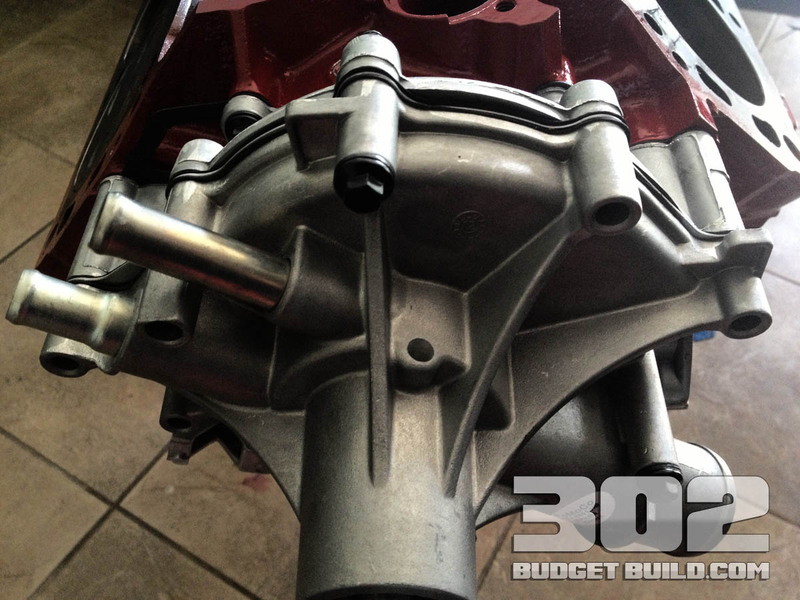 Gaskets are installed.